A salve to calm the beast that is the center of our power as women. 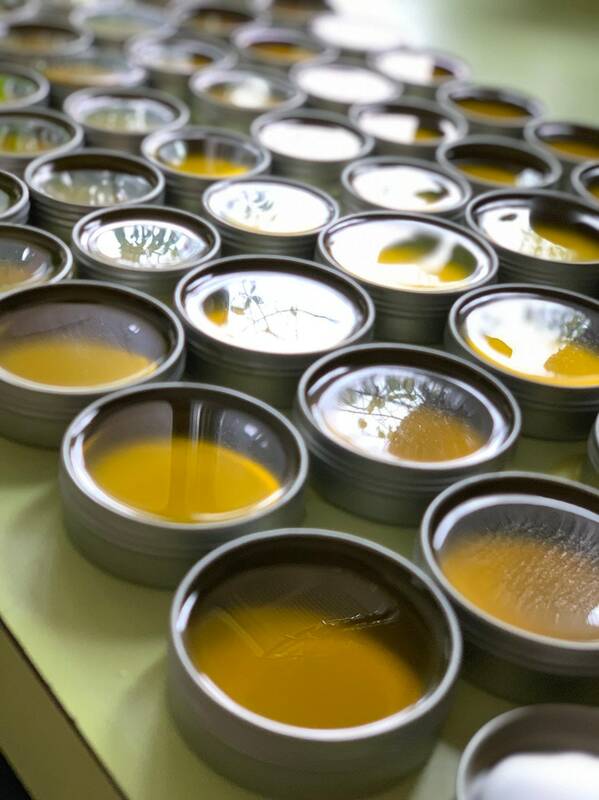 Raspberry leaf and nettle were infused in organic olive oil, filtered and then organic beeswax was added as well as the essential oils of lavender, geranium, clary sage and absolute rose. Gently massage this salve onto your lower abdomen during your period. It will help ease the surges. This gets rid of most (admittedly, not all) of my debilitating pain for the first two days of my period. And it smells beautiful. Witchcraft. Not only does it help with cramps, it smooths your skin. Love this product.